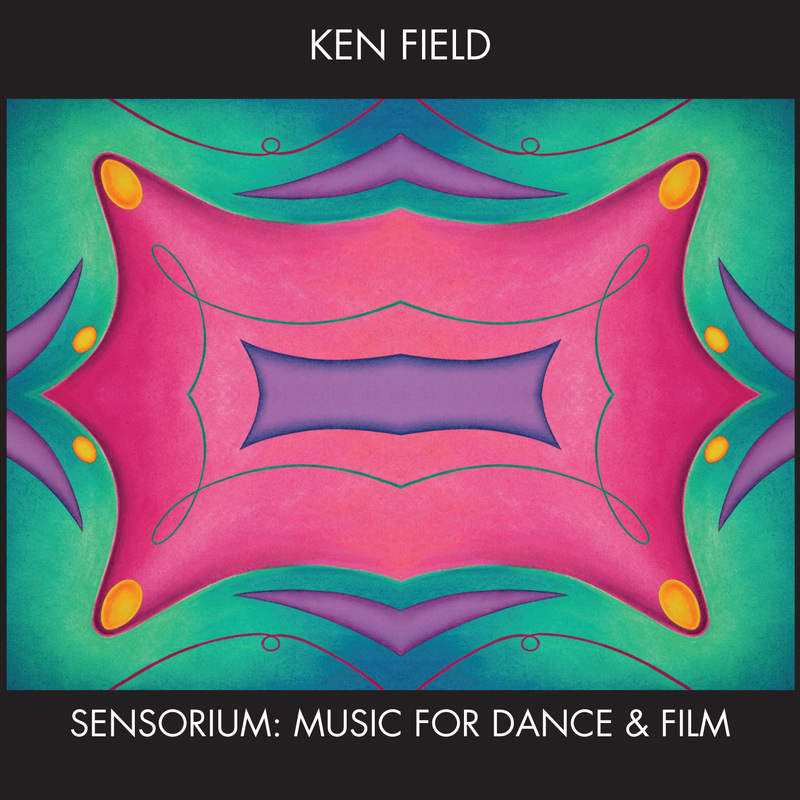 On Sensorium: Music For Dance & Film—his third release for innova Recordings—Ken Field brings together his music for Bridgman/Packer Dance and his soundtracks for the final animated films of his wife and longtime collaborator Karen Aqua (1954–2011). In the late 1990s, composer and sax legend Field released two solo CDs that caught the attention of NYC-based choreographer/dancers Art Bridgman and Myrna Packer. They then commissioned him to create music for Under The Skin in 2005 (innova 208) and the work collected here for Double Expose. These jaunty, upbeat, and immediately appealing works – which integrated live dance performance and innovative video technology – have toured internationally. His work in collaboration with his late wife Karen Aqua brings him full circle, in a sense, since Field’s career as a composer began in the late 1980s when Aqua asked him to create a portion of the soundtrack for her film Nine Lives. Field went on to write music for many of Aqua’s independent films and the short animated segments she produced for Sesame Street. He says: “I found it challenging, enjoyable, and productive to work within the structure and constraints provided by the short film format.” In his earliest pieces Field used layered saxophones, flutes, and percussion. He gradually began to incorporate additional elements of looping, electronics, and sound design, and he expanded his compositional palette to include other traditional instruments as well. Realized by Field with the help of members of his ensembles (the widely acclaimed bands Birdsongs of the Mesozoic and Revolutionary Snake Ensemble) and noted musicians including blues pianist David Maxwell (Bonnie Raitt, James Cotton), violinist Mimi Rabson (Really Eclectic String Quartet), bassist Mike Rivard (Club D’Elf, Grand Fatilla), Phil Neighbors, Amy Denio, and many others, Sensorium represents the development of Field’s craft along multiple axes. Ken Field is an Applied Microphone Technology Endorser and a Vandoren Performing Artist. He hosts The New Edge, a weekly radio program on WMBR in Cambridge, Massachusetts.